We’re down in Vicksburg, MS for Tricia’s 60th birthday (happy birthday, Tricia!) and with exciting bonus Chris and Katie. Yesterday we went down to the Outlet Mall and saw some Clydesdales. 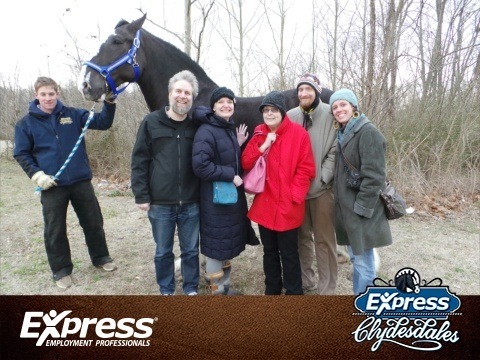 I’m still not sure what they were there for, but there was a carriage ride around the parking lot that we passed up, because of the cold, and a photo with a Clydesdale that we did not. The horse was so big, and soft, and warm. And his feet were huge!